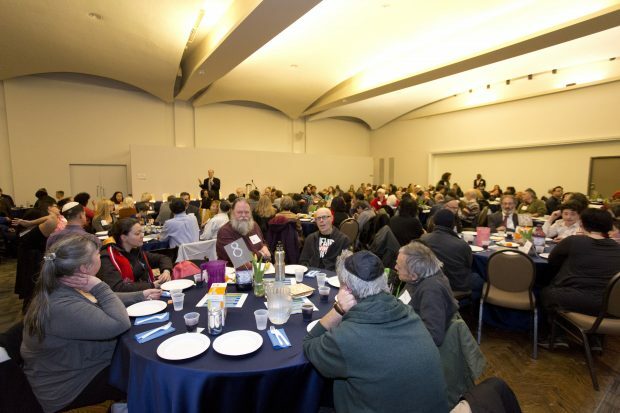 Since social isolation is a key factor in the mental health of the homeless, the Passover Seder creates an opportunity for these individuals to connect and be part of a community. 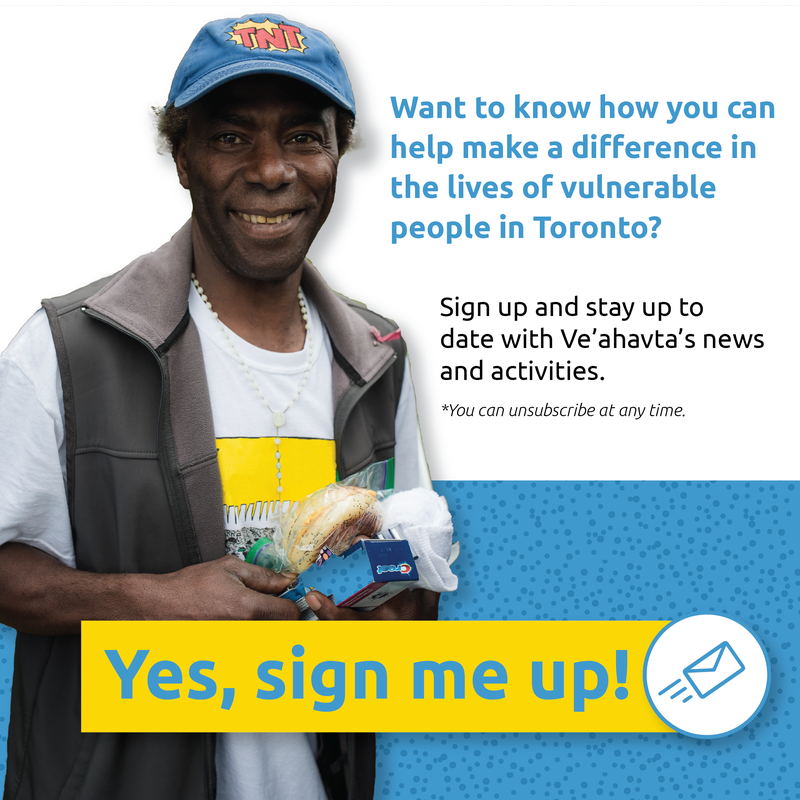 By providing a safe and supportive environment for both marginalized and mainstream community members to engage, we can foster community-building and mutual respect. By fostering human connections and offering inspiration, we can motivate individuals to make positive changes in their lives. 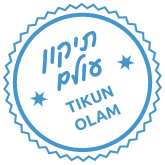 By infusing a Jewish historic tradition with modern and universal relevance, we endow a symbolic celebration with renewed meaning that is relevant to all. Ve’ahavta’s Community Passover Seder at Holy Blossom Temple invites people of all faiths to come together in order to recall the timeless story of slavery and freedom. Every year, we bring the community together to retell that story, so that we may better understand our role in the struggle for freedom around the world today, while we fulfill the commandment “all those who are hungry, let them come and eat” (Passover Haggadah). The telling of the Passover story is accompanied by live music, and thought-provoking questions and discussions. Pull up a chair – Ve’ahavta’s Community Passover Seder at Holy Blossom Temple welcomes all guests, Jewish and non – Jewish, friends and members of the wider community. 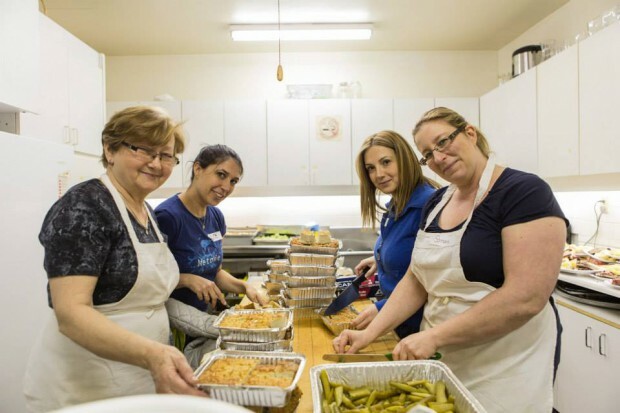 A warm and delicious meal is served restaurant- style by volunteers. The warmth and joy of this Jewish holiday uplifts all those who attend. Save the date! 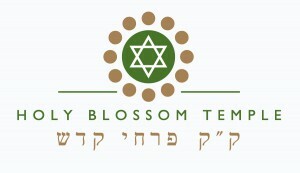 The 2019 Community Passover Seder will be held on the evening of Tuesday, April 23 at Holy Blossom Temple.